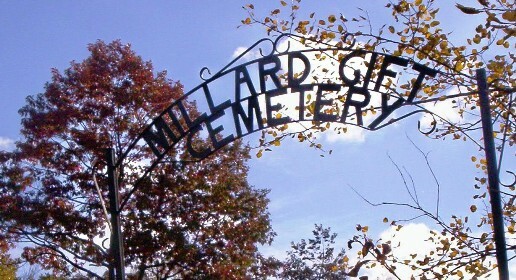 This is Cemetery #12 in the Colchester County Historical Archives cemetery records. Directions: Heading East out of Tatamagouche, NS on Route 6, cross the bridge and turn left (at Lockerby Cemetery) onto Sand Point Road. Go 1.6 kms (1 mile) to Civic # 283. Just before this # there is a narrow lane on the left. The cemetery is about 200 m. down this lane. Photos courtesy of Roberta Cameron. Transcription compiled by Donald A. Beeler.